Conservation on Catalina helps our Island flourish. With record low rainfall in recent months, residents and visitors strive to conserve water. 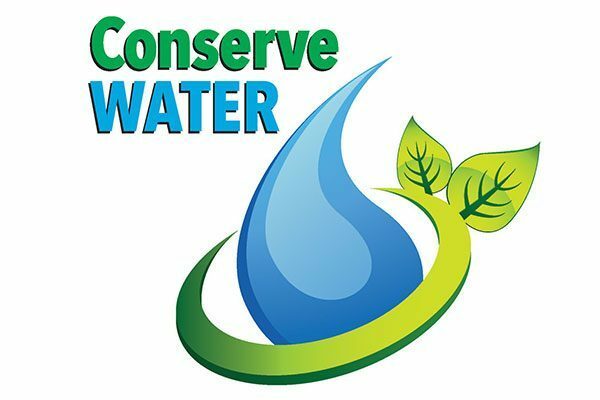 When it comes to conserving water, small adjustments can have a huge impact. During your visit and stay in Catalina, we ask that you conserve water whenever possible. When washing dishes by hand, don't let the water run. Fill one basin with wash water and the other with rinse water. Dishwashers typically use less water than washing dishes by hand. Now, Energy Star dishwashers save even more water and energy. If the dishwasher is new, cut back on rinsing. Newer models clean more thoroughly than older ones. Designate one glass for your drinking water each day, or refill a water bottle. This will cut down on the number of glasses to wash.
Use the garbage disposal sparingly or not at all. Don't use running water to thaw food. For water efficiency and food safety, defrost food in the refrigerator. Keep a pitcher of drinking water in the refrigerator instead of running the tap. This way, every drop goes down you and not the drain. Pack extra clothes for your trip instead of using the washing machine. Time your shower to keep it under 5 minutes. You'll save up to 1,000 gallons per month. Turn off the water while you brush your teeth and save up to 4 gallons a minute. That's up to 200 gallons a week for a family of four. Take 5-minute showers instead of baths. A full bathtub requires up to 70 gallons of water. One drip every second adds up to five gallons per day! Notify CIVR's Maintenance Department if any faucet or showerhead leaks. Teach children to turn off faucets completely after each use. At home or while staying in a vacation rental home, reuse your towels. Run the washer and dishwasher only when they are full. Consider using paper plates, disposable utensils, and plastic cups.